Spirits can have unfinished business, binding them to the temporal world. Yoda did not defeat Emperor Palpatine, and he failed to stop Anakin from turning to the Dark Side. Yoda never detected, or divined, that Palpatine was Darth Sidious. The entire prequel trilogy is ultimately marked by Yoda’s failure to pierce the Dark Side and find out what was going on. 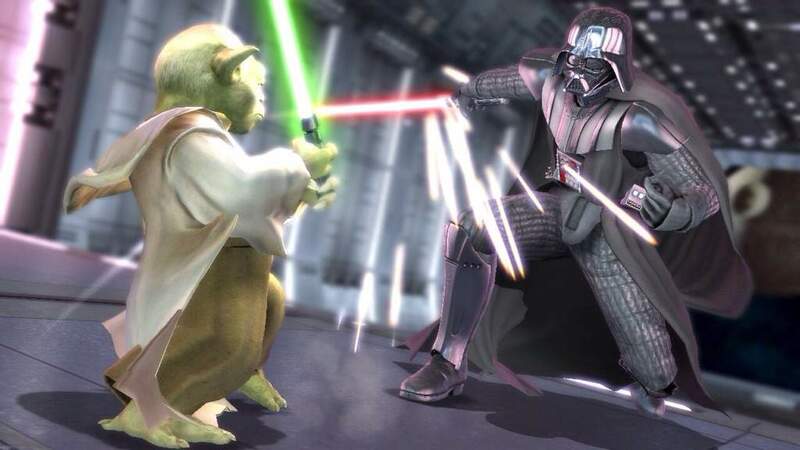 Only by balance being restored to the Force, and Vader destroying Palpatine, can Yoda hope to cross over. Otherwise, he would be bound to the place in which he more than likely died…on Dagobah. In tribal societies, the concept of “soul loss” is much more defined that it is in ours. It is a fragmentation of a soul, that is unable to rejoin the rest of it. In Empire Strikes Back, this would mean that part of Yoda’s soul is so traumatized, that it could not yet join the Force. That part of Yoda’s soul was attached to Dagobah, and that was the reason why Luke had to go there. Obi Wan’s soul was already joined with the Force, and could travel to places like Hoth. Once Luke had defeated Vader (or maybe even once Vader had defeated Palpatine,) Yoda’s soul fragment was allowed to rejoin with the rest. Consider this: even if Yoda did not want to face Vader, his discovery would have been just as important to the Rebellion as it would have been to the Empire. Once found, there is no reason why Yoda could not have rejoined society, especially so close to a final confrontation. But obviously, as a ghost, this could not happen. Let’s assume, just for a moment, that Yoda is truly alive in Dagobah. Yoda is a fugitive in constant fear for his life, who can be hunted at any point and time. Any potential visitor (especially a Force-sensitive one) is a threat. Granted, Yoda admits to having followed the son of Skywalker for years, and knows exactly who Luke is. However, you never see a scene in The Empire Strikes Back where Yoda possesses, teaches with, or even holds a light saber. And, thanks to the prequels, we know that Yoda had one at some point, and wielded it better than anyone. So where is it? Given the Empire’s keen interest in him, Luke’s mere presence on Dagobah should be a threat. Yet, Luke is armed and Yoda is not. That’s because, if found, Luke would be the only one who would have to defend himself. R2-D2 has been around Jedi for decades, so he knows how objects can simply float around. Shortly after arrival on Dagobah, R2 attempted to grab a light out of what he thought was the air, only for it to start hitting him, until Luke ordered him to let it go. This is known as a “force push,” which has been used a few times in the Star Wars universe. A force push would, in theory, create a bubble between two physical objects. As Yoda does not have a corporeal form, there is nothing to “bubble” against. Later on, Yoda moves the X-Wing, but never actually touches it. We don’t even really know that Yoda is the one doing it. It may be Luke channeling through the image of Yoda. Or it could be the ghost of a long-dead Jedi Master, haunting his visitors via moving objects. Obi Wan is already known as an “intelligent haunting.” This is defined as an activity, taking place around a person or place, that is caused by an intelligent or conscious spirit. An intelligent haunting takes on the personality of someone who has died, and whose spirit has not crossed over to the other side. Obi Wan interacts with Luke, and makes his presence known through sights, sounds, feelings and movements. Yoda, being a more powerful spirit in the Force, would have been able to transcend Obi-Wan’s simple talk-and-manifestation abilities. He, even as a ghost, would have been able to pick up small objects and be touched by those around him, including Luke. The Cave scene in The Empire Strikes Back brings together many aspects of a residual haunting. As opposed to an intelligent haunting, this is when the ghost cannot interact with the living, and typically manifests itself as a recurring memory. Luke seems to encounter such a haunting. The light saber battle he had with Imaginary Vader actually happened between Vader and Yoda; therefore, the residual haunting of Yoda’s death plays over and over. While Luke “defeated” this apparition, the battle rages on regardless, as it is a memory that cannot fade away. We know that Jedi can read minds. When Darth Vader utters his famous quote, “Obi Wan has taught you well,” Luke had just gotten off of Dagobah. The information that Yoda was still alive would have been of great interest to the Empire. Yet, Obi Wan orchestrating a collusion among spirits would be of little interest. In addition, Darth immediately becomes aware of Luke’s feelings for Leia, showing that his mind-reading abilities are incredibly strong. 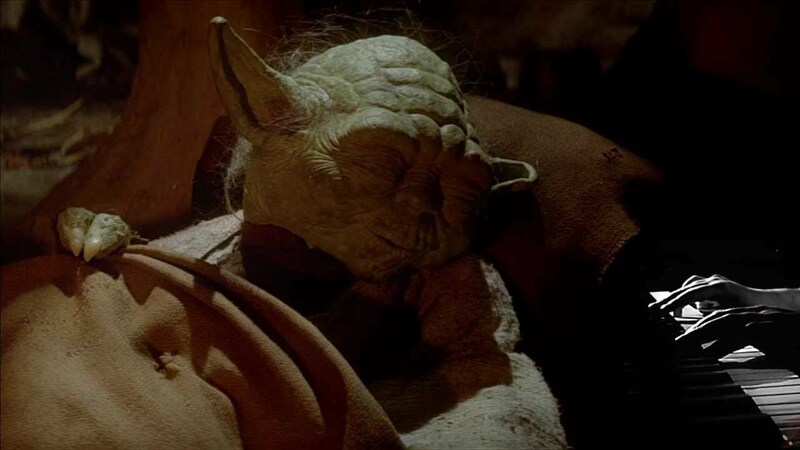 However, the word “Yoda” never escapes Vader’s mouthpiece, because Yoda was already long dead. Vader had taken care of that years ago, in a battle replayed forevermore in the Caves of Dagobah. Degobah is a swamp-like world. It is simply assumed that the ever-present mist is simply part of that world. But it is possible to have a swamp WITHOUT that mist, which brings up the possibility of it actually being ectoplasmic mist. What is swirling around Dagobah could be luminous ectoplasmic, or paranormal, mists. This would indicate that there is a large amount of paranormal activity going on, such as a Master Jedi having died there. Ectoplasm (like the substance in Ghostbusters) is defined as a swirling energy, that resembles fog illuminated by light. This mist is evidence of spectral activity that can be seen and felt, which described Yoda to a T.
Quick question. Who is the only person in the Original Trilogy who can see and commune with ghosts? In the end scene, he is the only one who acknowledges the ghosts of Anakin, Yoda, and Obi-Wan. In paranormal terms, Luke is what is known as a poltergeist agent. He not only interacts with the ghosts, they are capable of enhancing his natural telekinetic abilities. Poltergeist agents are people to whom paranormal phenomena latch onto like a lightning rod. We KNOW that there are ghosts in the Star Wars universe. It is entirely possible, and very probable, that Yoda is one. The obvious counter-argument here is the appearance of Yoda’s death in Return Of The Jedi. However, examine what actually happens in that scene. Yoda gives Luke the information about his family, which is all he has left to give. Yoda (or the residual part of the soul that is left of Yoda) is then finally allowed to join the Force. Yoda’s aforementioned unfinished business is now complete, and it is now up to Luke to fulfill his destiny. When thought of this way, Luke is actually helping Yoda’s spirit complete a crossover that Yoda’s body already had. This is an essential component to most any story. This sort of coda would also give Star Wars an even heightened level of depth to Luke’s overall destiny. Poltergeist phenomena are generally associated both spatially and temporarily, with some specific person. That indicates that there would be a reason for that specific association. In Yoda’s case, he has to complete Luke’s training, and ensure that everyone’s destiny is fulfilled. Only once that is done, is his spirit finally allowed to pass on and join Obi-Wan & Anakin, as part of the Force. I actually thought along this line for some 20 years now. Here are a couple points to consider. 1. EU is exactly that. An expanded “world” to satisfy fans. While Lucas generally let writers do as they wished within a certain set of guidelines. And while he had the rough ideas down for all 9 movies. He never actually expected to make the prequels. He was quite irritated with the fact that Coruscant had become so ingrained in readers of the EU that he felt he had to keep it in reference for the the Imperial(Republic) Capitol. 2. All of the arguments against the writers points using EU or game references are therefore invalid. The only Canon, is what you can take from the 6 movies. 3. While I don’t agree with all of the top ten reasons above, there is one thing that hasn’t been mentioned. When Obi-Wan was killed by Vader, his physical form was destroyed, leaving his robes on the floor. He re-appears as a ghost with clothes. Seems logical to not appear naked. When Yoda “passes” into the force, his clothes go with him. This, in itself, supports that Ghost hypothesis. His clothes where a part of his “ghost” appearance. To gain a better understanding of the relationship of the Living Force to Cosmic Force, it is recommended one watch Season 6 of the Clone Wars on Netflix. It appears to be a sanctioned Lucas Universe story line. There is no ghosts business, but different forms of existence within the Force. Story writers have developed the Force in greater detail in this series. In the Clone Wars, there are many other beings with different relationship to the Force. Degoyan Masters, etc. Yoda is contacted by Master Qui-Gon-Gin (Liam Neeson character). He interacts with other Force spirits. Yoda is aware of the future and death of Jedi Order, but he cannot change destiny. Thus he finds a new path to defy the Sith in the after life. Yoda knows that the Sith must remain unaware of this path. That is why he instructs Obi-Wan to continue his training at the end of Episode III. This helps bridge our understanding of what transpires between Episodes III and IV. 6 – Obi Wan was DEAD!! 1 – Did you saw what happened to Obi Wan when he was struck down by Vader….? So, where can I summit this to the Idiot who wrote the article…? thank you!!! i thought the same thing!!! this is the dumpest article i ever read…darth vader didn’t mention yoda because he thought that all the jedi’s were dead….duh.